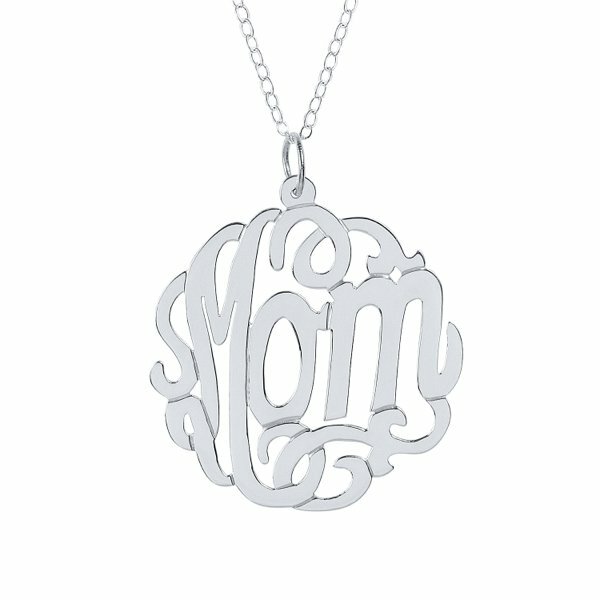 Our precious Mom script pendant necklace is the perfect accessory for Mother's Day. She will love this 1.25 inch (diameter) pendant in either sterling silver, gold plated or rose gold plated. Chain finish matches the pendants finish and comes in 16 or 18 inches long. The perfect gift that tells Mom you love her and appreciate all that she does! We suggest that on Plated metals you do not touch antibacterial agents, swimming, bathing or lotions. Price: $60.00 In stock! - Browse this brandOur products are custom made to your specifications. This product ships up to 3 weeks after your order is placed.